East Rutherford NJ: The Giants are half way through the 2016 season. Fresh off a bye week the team is 4-3 second in the NFC East just two games behind the first place Cowboys, (6-1) and currently hold onto the second NFC Wild Card Spot. 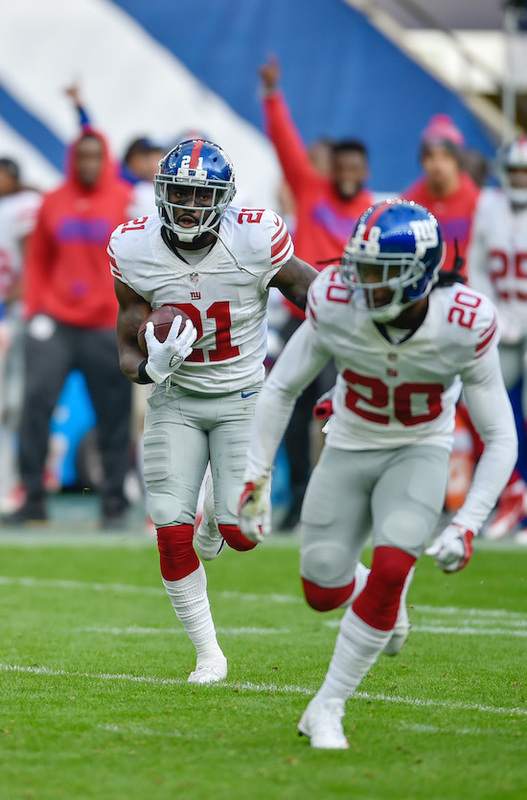 Let’s take a look back at the Giants first half, see how the team can improve for the second half, and who has stood out for Big Blue thus far. New York for the first time since 2013 did not start off a season 0-2, as for the first time since 2009 the Giants kicked off the season 2-0. In Week One the Giants traveled to Dallas where they were able to shut down the Dallas rushing attack, and win the battle at the line of scrimmage to escape Dallas with a one point victory (20-19). 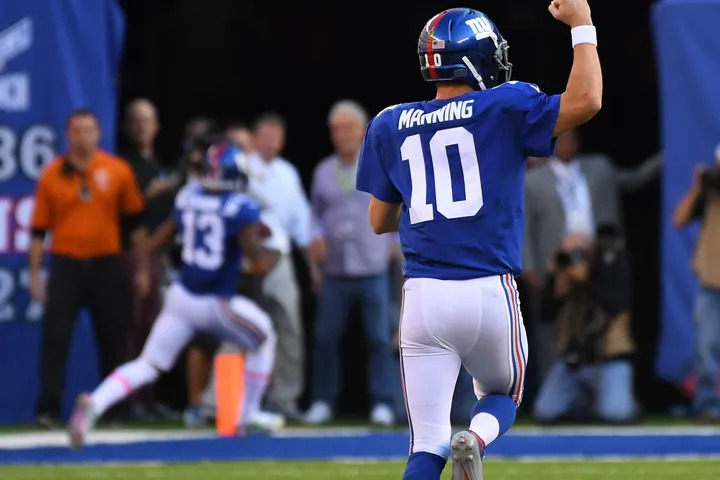 Eli Manning threw three touchdowns including Sterling Sheppard’s first NFL Touchdown, and Victor Cruz’s First Touchdown Catch since the 2013 NFL Season. Week Two Manning threw for 362 yards, but the Giants only Touchdown of the day came off a Johnathon Hankins blocked field goal that was scooped, and scored by Cornerback Janoris Jenkins for a Touchdown. Josh Brown knocked through three field goals including a 23 yarder as time expired which was set up by a Third Down and Eight Conversion From Manning to Victor Cruz that was good for 34 yards setting up Brown for the win. Week’s three-five where rough for the Giants. The Giants dropped an NFC East match up to the Redskins in Week Three after blowing a 12 point lead. Eli Manning threw two key picks including one at the goal line and one down two points in the middle of a two minute drill. The game was a rematch of Josh Noorman and Odell Beckham JR. Beckham had a rough first half but finished the day with 121 yards. The Giants lost many players to injury including Shane Vereen who lost his season to a triceps injury. The following week a Giants team minus Running Backs Rashad Jennings, Shane Vereen, and Cornerbacks Dominique Rodgers-Cromartie, and Eli Apple the Giants could not stop the unbeaten Vikings. Getting rolled over 24-10. Week five in Green Bay the team still was without their two starting running backs, and both Corners Rodgers- Cromartie, and Eli Apple left the game early with injury. New York was off to an awful start but late in the game Manning found Odell Beckham for Beckham’s first touchdown of the season to make the game close, but unable to get off the field late the Giants fell to the Packers 23-16 falling to 2-3. 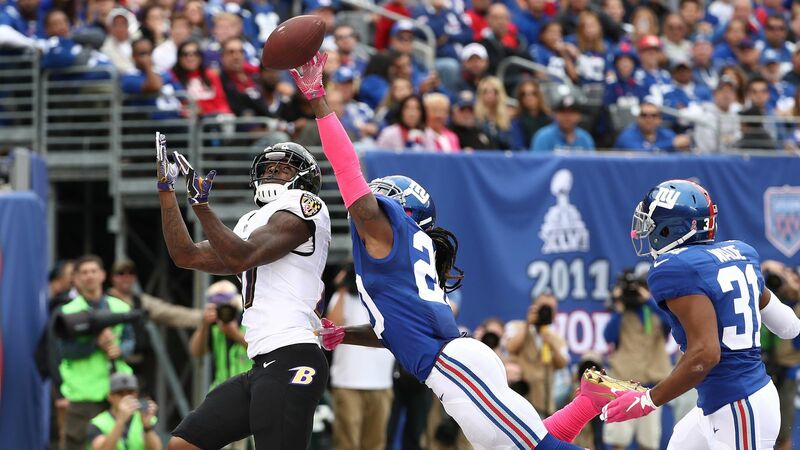 Janoris Jenkins had a huge day for the Giants grabbing two picks with Cromartie, and Apple limited. After Three Straight losses the Giants put together a comeback win against the Ravens. Down Ten Points early and after turning the ball over three times Eli Manning, and Odell Beckham JR came to the rescue. Down 10-0 late in the Second Quarter and Odell Beckham JR battling a hip injury the Giants seemed doomed. However this was the start of a comeback. Manning found Rodger Lewis in the end zone cutting the lead to 10-7 at half. Late in the Third Quarter the Giants down 13-10 needed a spark and Odell Beckham battling injury provided just that. Eli Manning hit Beckham in stride for a 75 yard score to put the Giants ahead. The defense followed that up with a goal line stand as the Ravens failed to convert a crucial 4th and goal at the Giants one yard line. Baltimore would fight back taking a 23-20 lead, but then came Odell Beckham JR again. On 4th and one the Giants were down to their last prayer when Manning found Beckham in the middle of the field, Beckham ran around the defense for a 66 yard touchdown winning the game 27-23. Odell racked in 222 yards, and two touchdowns in the win. After Josh Brown was released due to a nasty domestic violence case that went public the Giants turned their focus to Robbie Gould at the place kicker position before heading to London to take on the Rams. The Giants defense came to play on a day the offense struggled. Landon Collins picked off Rams Quarterback Casse Keenum twice including a 44 yard pick six, Rodgers- Cromartie grabbed two fourth quarter picks, and the Giants sacked Keenum three times as the Giants defense put together a highlight real. The Giants lone offensive touchdown came on a one yard touchdown run by Rashad Jennings put the team ahead for good winning in London 17-10 moving to a 4-3 record which is where the team stands now. New York’s defense has led the way. Though the team ranks 28th in turnover differential, is tied for 24th in total takeaways, and tied for 27th in sacks the Giants defense has quietly been much improved. The team was 32nd in the NFL in defense a year ago. This year they rank 13th overall, 16th VS the pass, and 8th at stopping the run. Sure it would be great for the Giants to get more turnovers, but they are coming off a week where they grabbed four interceptions, and the team has been great as a unit overall thus far. In great thanks to much improved play of second year Saftey Landon Collins, the acquisition of Janoris Jenkins who has proved to be one of the best Cornerbacks in the NFL, and the ability to stop the run thanks to a front four made up by Olivier Vernon, Damon (Snacks) Harrison, Johnathon Hankins, and Jason Pierre-Paul. On the offensive side of the ball the Giants offense has been a bit sluggish. Only ranking 24th overall, and scoring just 19 points a game it’s safe to say the Giants offense has not lived up to it’s high expectations with a three headed monster of a receiving corps not getting enough chances down the field. The one week the Giants went deep Odell Beckham had a 75 yard score, and a 66 yard score. If Eli Manning throws the deep ball the Giants offense should score more often. As despite the lack of scoring Eli Manning still has the Giants passing attack ranked 12th in the NFL, and is averaging 275 yards through the air a game (6th best in the NFL). As for the rushing attack the Giants have struggled ever since Shane Vereen was lost for the season, and Rashad Jennings began to struggle with due to a thumb injury that held him out for three games. Look for Jennings to look more like himself this weekend coming off a bye, and also for the Giants to look at Booby Rainey, and rookie Paul Perkins threw the air to help heal the loss of Vereen. The Giants are a team that is very much in the playoff hunt. Just two games back of the NFC East race, and holding onto a playoff spot the team is in pretty good shape. If the Giants defense continues to play good football, and the offense scores some more points Big Blue should be back in the postseason for the first time since 2011 when they won Super Bowl 46. If not it could be another sub .500 season. Eli Manning has a 64.8% completion rating and has thrown for 1,984 yards thus far, however his problem has been the lack of Touchdown Passes (8), and high amount of interceptions (6). If Manning can utilize his plethora of weapons and limit the turnovers the Giants offense will improve greatly. In all fairness this position group has been through a lot. Shane Vereen is out for the season, and Rashad Jennings missed three weeks with a bad thumb and ever since hasn’t looked all too good. That’s no excuse in the NFL however. The Giants need to run the ball much better than their 31st NFL ranking in order to win football games. For a group so talented this grade should be an A, but the Giants passing offense just hasn’t been great thus far. Odell Beckham leads the group with 630 yards and three touchdowns, rookie Sterling Sheppard has racked in 334 yards and two touchdowns, and Victor Cruz has 331 yards with one touchdown. If the Giants big play wide outs can get some separation downfield look out. Despite only leading the 31st ranked rushing offense the Giants offense line has done a really good job. Justin Pugh is ranked the top Offensive Guard in the NFL thus far, and Weston Richburg continues to prove to be one of the best Centers in the NFL. The Giants have done a great job preventing sacks as Eli Manning ranks among one of the least sacked Quarterbacks in the games. The Giants offense line has been the leader of the offense thus far. If the Giants Defense Lines had more sacks this grade would be an A, but the Giants haven’t gotten to the Quarterback. They have however gotten to running backs as they are the 8th best run defense in the NFL as of today. Damon Harrison has been exactly what the Giants needed to clog runners trying to come through the middle of the field. Other than Jonathan Casillas the Giants linebackers haven’t been great. The Giants need either Kelvin Sheppard, or Keenan Robinson to step up as a true Middle Linebacker. Defense Jonathan Casillas has been the Giants best linebacker but the Linebacking group as a whole has room to improve. The Giants rank 16th in pass defense, but the play of Landon Collins and Janoris Jenkins have been among the best in the NFL. Jenkins has proved to be a lock down corner and with DRC another lock down corner on the other side the Giants have a solid Cornerback duo. Safety Landon Collins has been all over the field. He’s helped the Giants run, and pass defense grabbing picks, hitting running backs in the backfield, and even grabbing two sacks. The Giants are on their third place Kicker of the year due to the troubles of Josh Brown, but the Special Teams as a whole has been great for a second straight season for the Giants. Brad Wing has been solid yet again, and Dwayne Harris ranks 8th in Kick Return in the NFL. The Giants defense staff has been great, but first year Head Coach Ben McAdoo who is also the Giants offense play caller needs to take more chances. The Giants are dumping off to many short screen passes. It’s time to use the guys on the roster the right way. The top ranked Gaurd in the NFL thus far Justin Pugh has been an elite pass protecter, and run blocker. They’ve both been so good it’s hard to choose one so give both of them some credit. 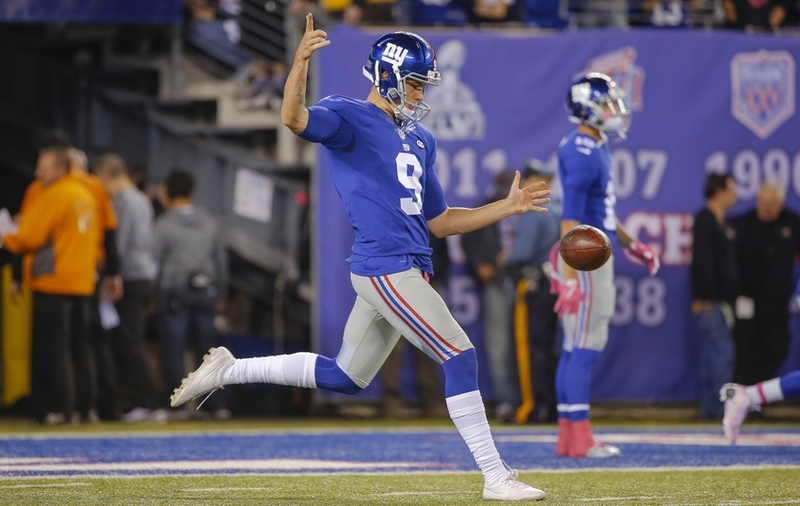 Brad Wing is among the most reliable punters in the NFL. Landon Collins has been the Giants best player so far this season. He is one of the best run stopping saftey’s in the NFL, and has become a threat to Quarterbacks as both a ball hawk, and even going in and recording sacks. Collins has two picks, a touchdown, two sacks, and has recorded 57 total tackles. Posted in New York Giants, NFL and tagged Blocked Kick, Defense, DRC, Eli Manning, giants, Grades, Jenkins, JPP, Landon Collins, Midseason, NFL, Odell Beckham JR, Offense, Report, Rodger Lewis, Snacks Harrison, Sterling Sheppard, Victor Cruz.